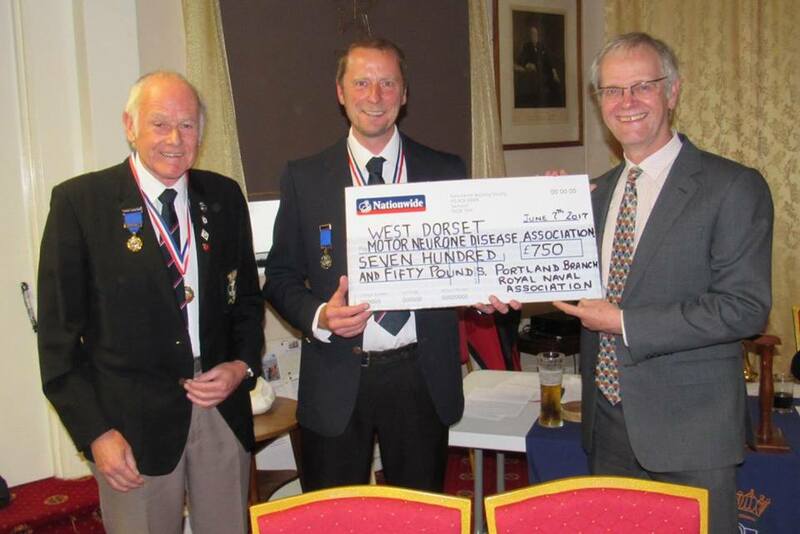 Shipmates ~ At the monthly Branch meeting on Wednesday 7th June, Dr Richard Sloan, Chairman of the West Dorset Motor Neurone Disease Association, was presented with a cheque for £750, by the Vice Chairman Shipmate Nigel Rimell, along with Shipmate Dave Prowse. This was our chosen charity for 2016, so Bravo Zulu for raising this amount Shipmates. Dr Richard thanked the Branch for our generosity, saying the funds would help towards providing support to those affected by the disease. 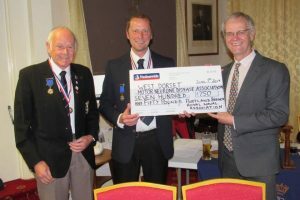 Our thanks go to Dave Prowse, our Social Sec, for organising the presentation. Thank you very much once more for the most generous cheque from your Shipmates. I very much enjoyed the welcome at your meeting and the sense of camaraderie and fun. Your donation is much appreciated in the funding of research and also going to help support current MND patients and their families. Please pass on my thank…s to all at your Branch. Copyright © 2019 RNA Portland Branch. Theme: ColorNews by ThemeGrill. Powered by WordPress.